Besides being one of the largest investments in your home, upholstery furniture is also one of the best filters in the home, collecting dust, dead skin cells, contaminants, odors, and allergens. If you doubt this, slap the cushions and watch the dust fly! Regular cleanings help maintain a healthy home environment. Most manufacturers also recommend cleaning every 12-24 months to remove imbedded soils and contaminants that may accelerate wear through abrasion damage. We can perform a simple, free soil analysis while at your home to determine the level of soiling, so you can make an informed decision. Also, check out our FAQ section under the About Us tab for more info! 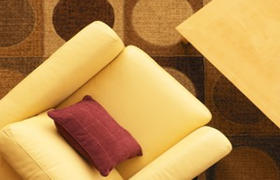 Carefully inspect the piece of furniture for the manufacturer’s list of materials and recommended cleaning process. Also inspect for pre-existing damage, spots, stains, and contaminants. Determine the best methods for achieving the desired outcome. Pre-vacuum entire piece of furniture to remove as much surface dust and contaminant as possible. Pre-treat spots with a gentle fabric-appropriate spotter. In most situations, the fabric will be cleaned using a “mist and vacuum” approach with a high-quality/low detergent rinse solution. This allows for a high quality cleaning without leaving the fabric sopping wet and covered in a residual layer of soap (both of which accelerate re-soiling). Fabric is then treated with StainGuard and mild deodorizer.